Matt Van Wyk has been brewing for nearly two decades, and always for someone else’s company. 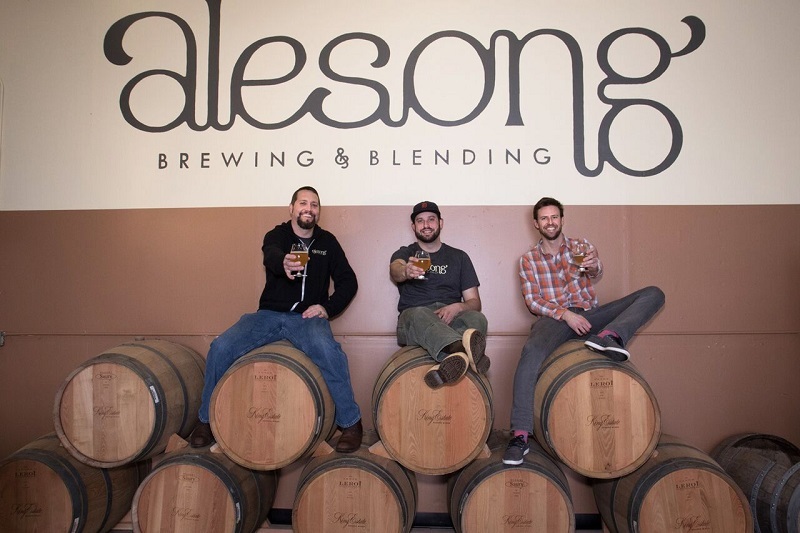 Last year he became one of three partners at Alesong Brewing & Blending in Eugene, Oregon. In a recent conversation on “After Two Beers,” a podcast with All About Beer Magazine editor John Holl, Van Wyk talked about the path to (and the pitfalls of) starting a brewery. 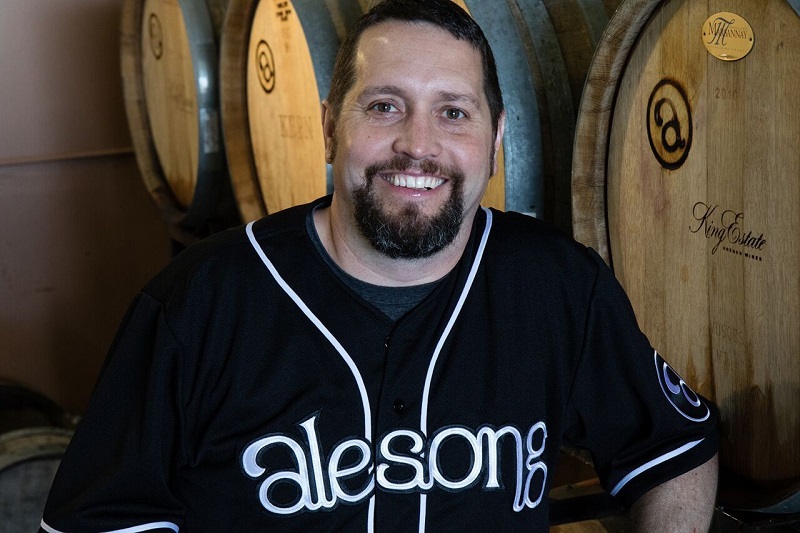 Matt Van Wyk: I have been very fortunate to have some great jobs in the brewing industry. I’ve worked for some great brewers. I’m blessed to have done that, but it gets to be a point sometimes in a brewer’s career where you’ve done this long enough, you learn some things about the business, which is a huge part of it, because it is a business at the end of the day. We take our art and craft very seriously. And sometimes when you work for a company and you’re the employee, you know [what] you want for the company but it’s not yours at the end of the day. There’s a different thought process when you’re [an] employee versus when you’re someone who has their own business. In my instance I had a great job with Oakshire in Eugene, Oregon. But for me the timing was just right [to start something new]. I’m partnered [with] two great guys who complement my skill set—there’s no way that I could ever do it by myself. So we have some business expertise, some cellaring and barrel expertise and even though I’ve been at this for 16 years now as a professional brewer, I needed that help. The industry was ripe for this project with a lot more breweries opening, even though that can be hard competition. In my market I felt there was a hole for something that I was passionate about. In reality, when you’re working for a brewery, things change depending on the size that you are, and some of us who have been at it for a while become managers. I think that’s the key to it. I became a brewery manager where I’m managing people, and I have no education in management, business management. Managing people is easy for me, but I wanted to get back to making beer. And I’ve got this small brewery, Alesong, that I can have a real creative outlet and there are no employees. It’s the three founders, and I’m back in the brew house again. And that makes it right for me. There’s a lot more resources out there, just from the Brewers Association, our professional industry group that really helps us. They have books on starting a brewery. There’s a lot of information you can access. There’s a lot more people out there, and despite the competition that is going on in our industry right now, there’s still a lot of people who are willing to help and give you advice and really tell you what they did and what mistakes they made. That happened 10, 15 years ago, but I think it’s happening more, and, also, the TTB, is seeing—that would be the [Alcohol and Tobacco] Tax and Trade Bureau—all that there is and they are trying to streamline the processes and make it a little easier and faster because they don’t have the people or manpower to quite get it done with all the breweries opening. So they are trying to cut out the crap that was there that people had to jump through. So you’re seeing some faster label approvals, so that’s a good thing. Throughout my brewing career I’ve been able to dig into barrel-aging beer. That started at Flossmoor Station Brewing in Chicago, a great place that’s been open since 1996. … Moving out to Oregon and Oakshire Brewing, I was given some freedom to start a barrel-aging program. We had wild beers. We had clean beers, and that started to become a passion of mine. I really enjoyed putting stuff in barrels and using the fifth ingredient. You know you have the four ingredients in beer, and you throw a barrel on top of it, that’s the fifth ingredient. A lot of breweries these days are barrel aging regardless of size. … However, that’s a tiny part of what they do. I wanted to open something where we were really focused on the wood, on the barrels. And focus on that lost art. There are breweries with much larger barrel programs than ours, but we thought that if we could focus on the beers that we make on the art of barrel aging that it would be a small niche inside our small niche of craft brewing, and to that end we’re opening a small wine country tasting room in the south end of the Willamette Valley. –As told to John Holl on the “After Two Beers” podcast.